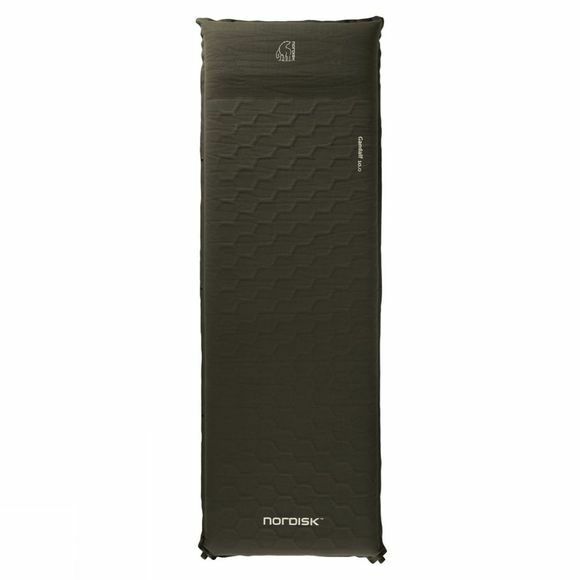 With its solid construction and choice of materials, Nordisk's Gandalf offers extreme comfort. Made of a natural and high quality 100% cotton fabric with a soft, brushed finish caters for a good sleep. The back side is made of an extremely durable oxford polyester with silicone print for non-slip grip. Connection buttons allows you to attache mattresses together and avoid uncomfortable gaps during the night and the integrated pillow makes your head rest comfortable in its natural height.